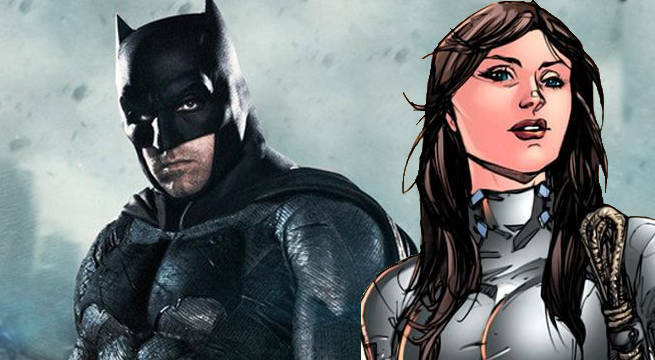 Will Talia al Ghul Appear In Ben Affleck's Batman Movie? This summer has been a busy one for Ben Affleck’s Batman film. The much-anticipated film famously welcomed fans onto its ‘hype train’ when Affleck hinted that Deathstroke would star in his movie - and fans promptly freaked out when Warner Bros. confirmed that Joe Manganiello would play the villain. Since the revelation came out, fans have wondered which other DC Comics icons might appear in Affleck's film. Now, we know there’s at least one character who won’t make an appearance. According to The Wrap, sources have told the site that Talia al Ghul will not appear in Affleck’s Batman or any other DC Extended Universe film for the foreseeable future. Her famous father Ra’s al Ghul will be kept off-screen as well. This news may come as a blow to some fans, but no one will be more disappointed to learn about Talia’s absence than Teresa Palmer. The actress recently spoke with Screen Rant and said she’s be interested in playing the deadly character. Palmer almost got her wish back in 2008 when director George Miller wanted the actress to play Talia in his film Justice League Mortals. However, the project was ultimately scrapped due to financial concerns and the a writers strike. The last time fans saw Talia make a major on-screen appearance was back in The Dark Knight trilogy a la Christopher Nolan. Marion Cotillard played Tahlia in The Dark Knight Rises. She uses the alias Miranda Tate to grow closer to Bruce Wayne through her savvy philanthropic activities. After she gains his trust and becomes his lover, Talia reveals that she is Ra’s al Ghul’s daughter. She is determined to carry out her father’s mission of destroying Gotham, so she ferries in an atomic bomb to the city. However, she is killed before the weapon can detonate, leaving her to think she’s finished her father’s mission while Batman relocates the explosive. Talia has made a more recent live-action appearance on the small screen thanks to The CW. The character was briefly shown in Legends of Tomorrow during a flashback where she was but a child. So, what do you think? Were you hoping that Talia as Ghul would show up in Affleck’s Batman movie? Which female characters would you like to see in the movie? Share your thoughts in the comments below! The Batman solo feature isn't expected before 2018. 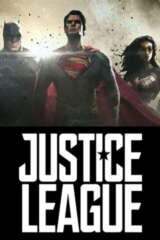 As for Justice League, it hits theaters on November 16th, 2017.